How to Get an Entrepreneur Visa to Build a Startup in the U.S.
Late last year our Entrepreneur In Residence, Mike Suprovici, spoke to Nikki Dryden, the Director of US Immigration at PwC, about how startups can successfully immigrate to the U.S. Beyond her role at PwC, Dryden was born in Canada and migrated at a young age to America, even acting as her own immigration lawyer, and can personally speak to the subject. Though there are some more recent political hurdles that may have removed programs such the International Entrepreneur Rule, there are still several ways to successfully make the move and tap into the vast resources, mentors, and talent across the United States business community and startup ecosystems. While the International Entrepreneur Rule itself is not officially shut down yet, the current Administration has made it very clear that it will not be supported. Not since 9/11 have we seen such a dramatic shift in immigration policy, and I think, to be honest, it’s actually even worse than after 9/11,” Dryden says. “Just the tone, the way immigration is a topic in United States news, it’s a very current event in the political landscape as well, and I think what that means for you as your planning to move to the United States is that you have to be prepared. The short answer for entrepreneurs seeking to move to the states is that the current political environment will add additional hurdles to an otherwise complicated process of starting a business. However, a business must go where their customers and demand are, and between visas and investing, immigrating to the U.S. can still be accomplished. For starters, Dryden recommends seeking support from a professional or legal team that can help provide an individualized strategy to walk through the immigration process. It’s certainly a complicated system, and as a high-level primer, this article in itself will show why that advice should be heeded. Before migrating to America, it’s obviously important to initially visit and create a foundation for where a startup will operate. The B-1 Visa allows entrepreneurs to visit for business purposes, but with strict restrictions on the type of business conducted. In fact, Dryden says that when entering the country with a B-1 Visa, using the B word (business) could impact entry. You can’t just do productive work in the U.S. on these visas, there are restrictions. For example, a tailor can fly into the states, measure his clients, but then go back to Hong Kong and do the actual work. In this example it could be a startup can fly in to talk to colleagues, clients, VCs, go to conferences, but as long as you bring the info back to your home country to do your work it’s ok,” said Dryden. “The biggest sticking point for startups seeking to do work in the US is at the border. As soon as you drop the line you’re in for work, it complicates the situation, even if the particular work is allowed. She goes on to say that even your social media profiles can seriously impact entry. If your home country is in China, but your LinkedIn profile says New York, it could pose a problem. Dryden says that the agents will question travels about these items, and even look at posts on social media. Avoid saying things like you’re headed to America to start a business. The B-1 Visa also does not allow children or spouses to obtain a dependent visa and will need to each apply for their own B-2 Visa. 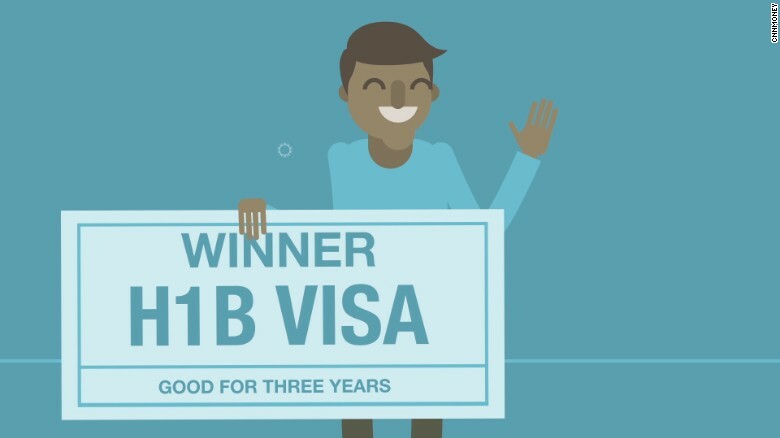 Caveats aside, the B-1 is the ideal visa for entrepreneurs who want to visit the States and start to build the foundation of their startup. It also works just as well for those who are planning on joining an incubator, accelerator, or relevant conference. As is the case for many things, money is still one of the deciding factors for faster entry into the American startup world. An E-2 Visa allows investors to make a substantial contribution to a business based in America, and in turn, allows them to work initially for a two year period on said startup. 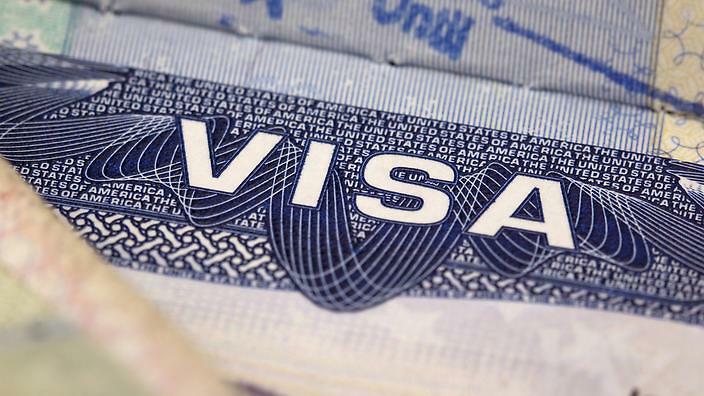 The visa can also be renewed indefinitely, but there are quite a few caveats with the E-2. On the flip side, a spouse and children are able to join the investor, but there are several restrictions that make this slightly easier route a non-starter. Under the E-2 Visa requirements either the investor or the designated employee must hold managerial-level or higher positions in that specific company. The other negative part of the E-2 visa is that it can’t be dual intent. That means there is no direct path to citizenship and you’d be listed as a nonimmigrant. The H1B Visa is likely the most well-known business visa for the U.S. and also one of the more complicated. This visa is designed for large organizations to bring in professionals with specific backgrounds; however, the sponsor organization also must be selected through a lottery system to even make it that far. More importantly is that a startup without funding and in under control of the founder would not be allowed to use this visa. If a founder can be fired by way of having a board of directors, which means they must already have funding, then they can apply for the H1B. However, the visa is granted with an initial limitation of a three-year time span, with only a single renewal period following. In many cases, foreign students with a student visa tend to apply for these visas to continue to stay in the United States. The major hangup with the H1B is that there is also a lottery involved. For founders with a bachelor's degree, you will be among a maximum of 60,000 others vying for a spot. The application opens in the first week of April each year, lasts only a few days, and once approved you can begin working in the U.S. in October of that year. If you have a master’s degree there are an additional 20,000 potential spots as well. For context in 2018, 199,000 people applied for the H1B. That’s a bit lower than 2017’s, which had 236,000. The numbers shouldn’t be too surprising considering the current U.S. political environment. For existing startups that have found success in their home country and seeking to expand into new markets, the L-1 Visa is the ideal option. While this is a bit outside of the scope of fully migrating a business, it can certainly be part of a more long-term vision. For startups seeking to do business in America, not just open an office, the L-1 Visa is the ideal option. This allows a foreign country to set up their U.S. operations with a specific business plan, and even bring over manager-level or higher professionals in from other countries. You will need to provide your immigration attorney a number of documents, both business related and personal documents from the employee to be transferred. Such documents may include: business licenses, lease agreements, corporate tax returns, payroll information, bank records, copies of passports etc. They go on to say that the next step would be to apply for the L-1 via filing the I-129 form or Petition for Nonimmigrant Worker. They suggest that this process is typically fast and can take around two months, but there is an option to expedite the process as well. It’s important to note that professionals who seek to use the L-1 to migrate to the country will have to work for the home country business for at least a year prior to making the move. There are also no formal set of rules to determine if a founder also happens to be considered extraordinary, which means there is some wiggle room. If you have the expertise, backing, and are considered among the top tier specialist, the O-1 Visa is a viable option. It’s also worth noting that the O-3 Visa allows spouses or children of O-1 Visa holders to enter the country as well. Considerations When Immigrating to the U.S. It all starts after exiting the plane and going through customs. As a startup, and in most cases a tech startup, we all live on our computers. When going through customs you should expect that the agents you interact with will want to and gain access to everything on your computer. Dryden suggests keeping all proprietary data on a cloud drive and logging out of all apps prior to going through the customs checkpoint. Obviously, this is just a matter of keeping private company information private, which at this stage for a startup can have a substantial impact if others knew about the fine details. This doesn’t belong in some government database somewhere. To see Entrepreneur In Residence Mike Suprovici's full-length interview with Nikki Dryden, check out the video below.